"Fine," "thin," "limp," "lifeless"… These are all words we'd like to banish from our hair vocabulary forever, thank you very much. Everyone yearns for naturally voluminous hair: No matter the season, big hair will always be in, no questions asked. But just because your weren't born with naturally thick hair doesn't mean you can't fake it till you make it. 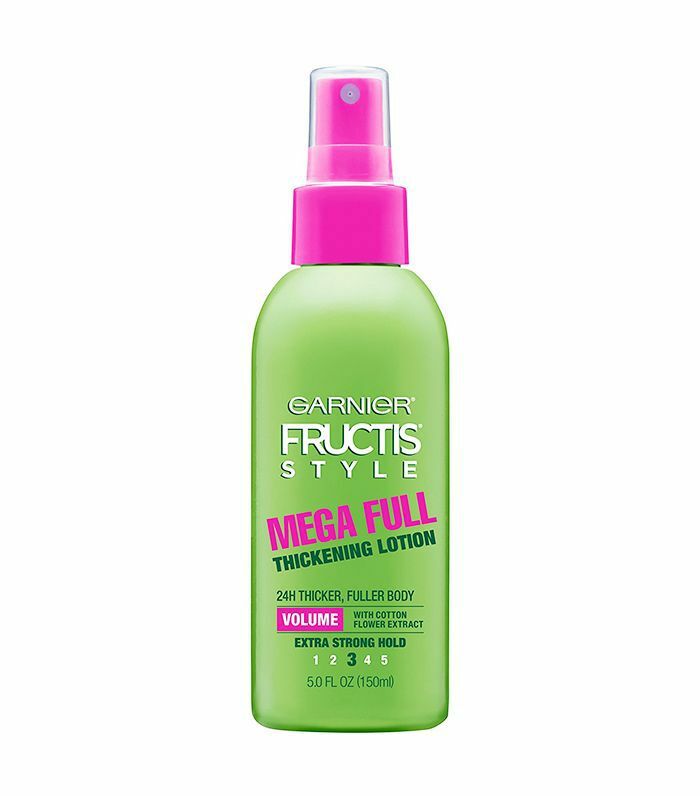 To help you trade limp for luscious—thin for thick, lifeless for vivacious (okay, we'll stop now)—today we're sharing the ultimate roundup of thickening, fattening, volume-boosting products. From mousses to sprays, and everything in between, keep scrolling for 20 Byrdie-approved hair thickening products for fuller strands. If you love styling your hair, this product is the key to killer volume that lasts all day. The foam works in tandem with your heat tools to maintain body and bounce, however you choose to style your tresses. Plus the lightweight texture of the mousse gives your hair a light, fluffy look without feeling sticky or stiff. With heat protection built in, this pomegranate-scented formula is the answer to all our hair styling needs. The spray is infused with aloe vera, lillypilly, keratin, and coconut oil, all plumping, natural ingredients that help build and boost volume and texture in fine hair. This dual-action conditioner creates the appearance of voluminous hair thanks to the natural sugar derivative maltodextrin in its formula that coats the individual strands to thicken their diameter. Plus the no-alcohol recipe is designed to increase growth over time rather than cause dullness or damage. Your hair will thank you later. In addition to the clever name, there is so much to love about this invisible spray. 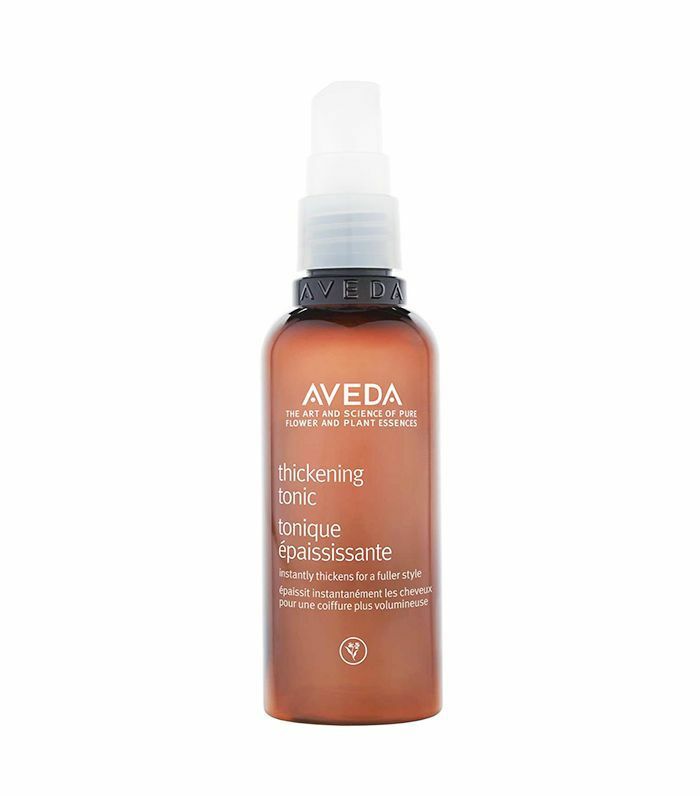 With the help of this product, you're going to have touchable, styled texture that stays in place without feeling stiff. It's great for second-day styling, with no risk of white residue. Living Proof has mastered the art of personalized styling products, especially when it comes to texture, and this cream is no exception. It's formulated with the brand's patented thickening molecule, which connects individual hair strands with thickening dots so your hair feels naturally fuller. Not to mention the hint of conditioner that leaves your hair nourished and soft. Trust us, this styling cream will quickly replace the plethora of products in your cabinet. Most of us crave the beloved beachy waves often seen on off-duty models. And thanks to Bumble and Bumble, we have a better chance of achieving them. Enter the dry, translucent finishing spray we would recommend to everyone and their mother. 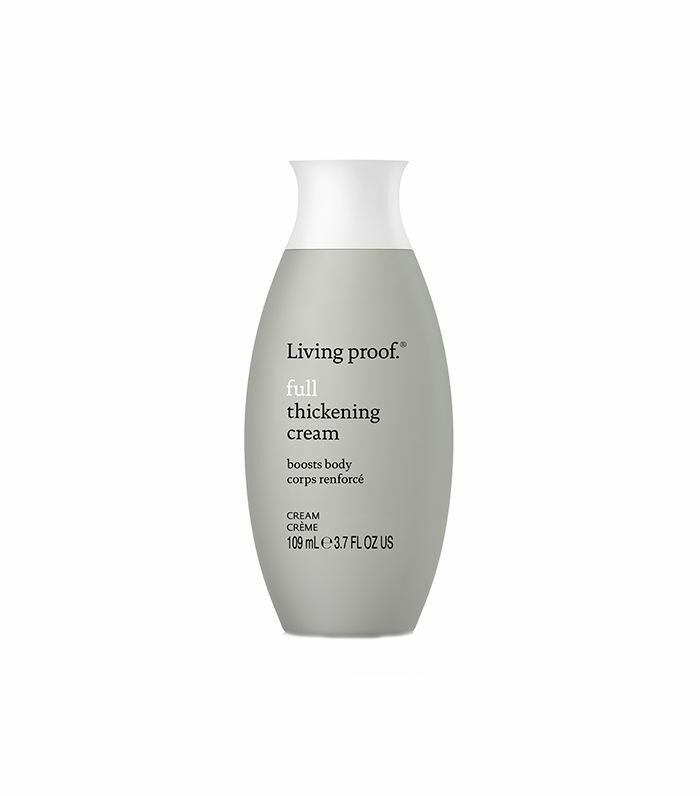 Seriously—no one should miss out on the airy, effortless texture and fullness this product guarantees. Whether you're refreshing a blowout, adding texture to an updo, or just boosting some second-day hair, this thickening spray has you covered. Want texture? A matte finish? Flexible volume? Just add Dust It Flex. 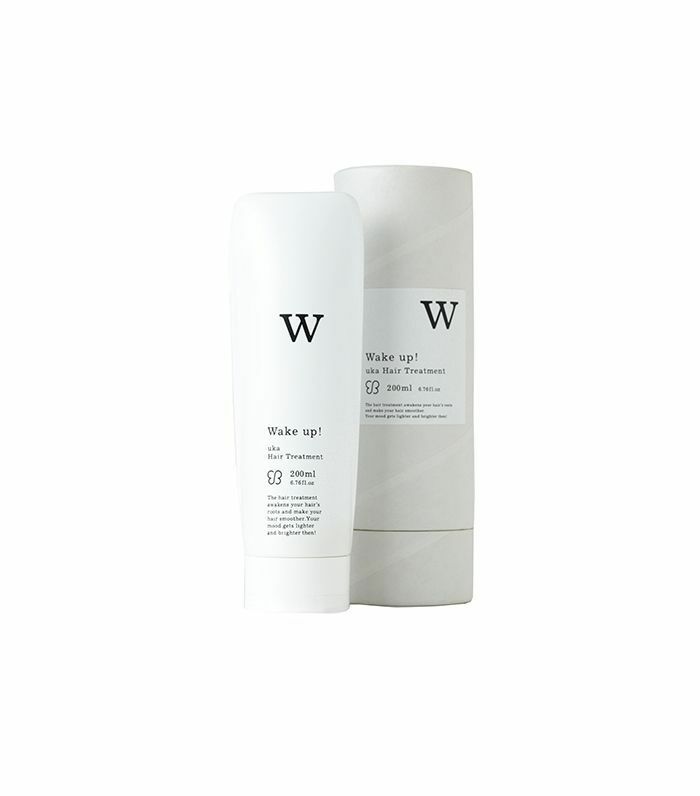 Meet the perfect product when you need to make second-day hair more "I woke up like this." Sculpt and style to your heart's desire with this fragrant powder to ensure street style–worthy locks every day. If you prefer a shiny gloss finish to your hair and hate the number of products it takes to get there, this is a godsend. Step one: Apply to wet hair. Step two: Style as usual. Step three: Be amazed at the results. Your hair will have incredible volume, and thanks to the added UV glow in the formula, your luscious locks will have a luminous sheen to them as well. Ever noticed more hair than usual collecting in the shower drain (or any other signs of thinning hair)? Give this treatment a try for some much-needed relief. Its formula is concocted to prevent breakage, benefit scalp health, and promote hair growth. Plus, thanks to the nozzle, it's easy to apply—especially when targeting specific areas. 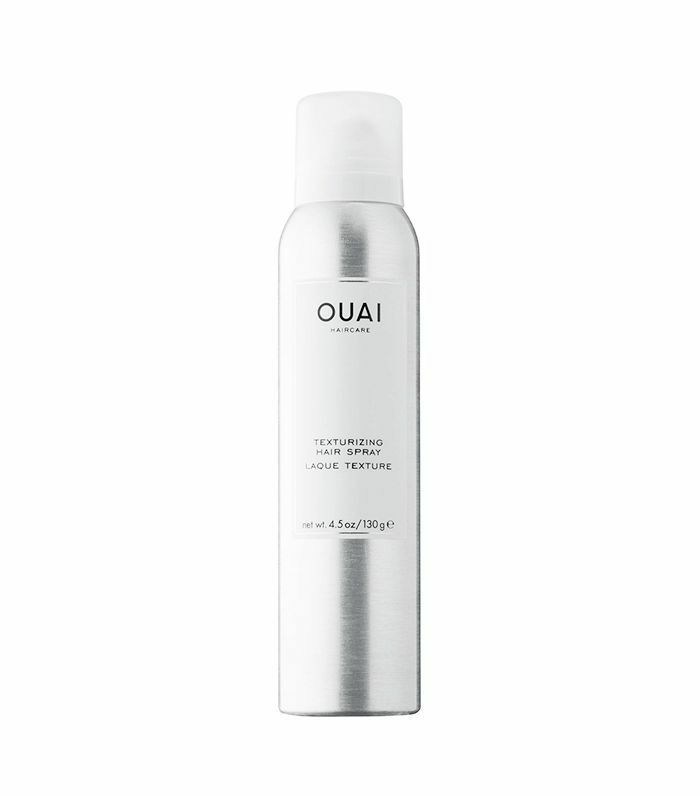 With hydrogenated grape seed, argan oil, squalane, and macadamia nut oil, this treatment is one of the many products from Uka's haircare line that is greatly derived from natural, raw materials. The all-natural plant-based formula works to add luster and moisture to the hair, leaving your strands full and shiny without the heaviness—no risk of damaging toxins here. Drybar is a total lifesaver. 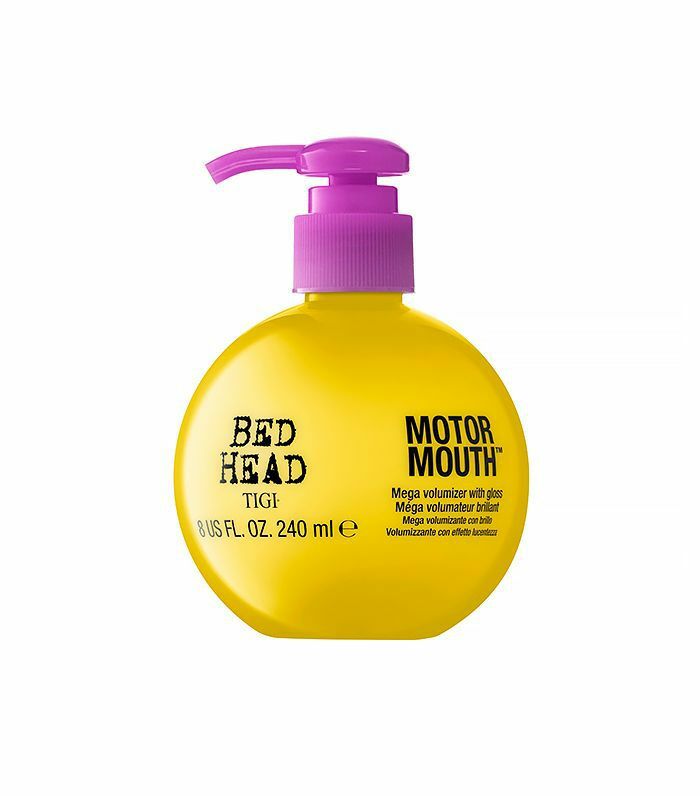 From the amazing blowouts to the standout styling, we can thank this brand for helping us all a have a few extra good hair days when we need it most. For the days when you can't make it into the salon, this three-in-one spray is a must. 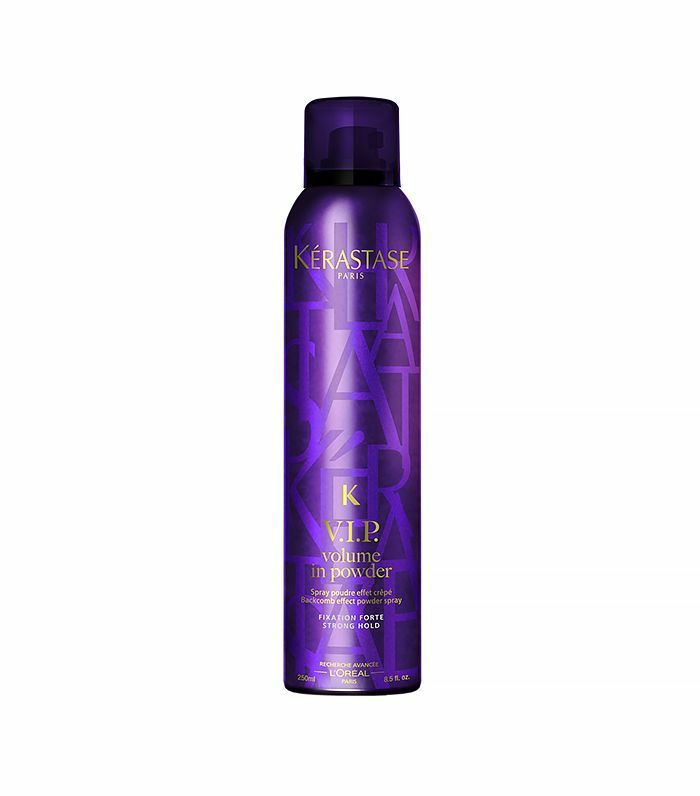 A few mists revitalize your strands with instant texture, volume, and body. 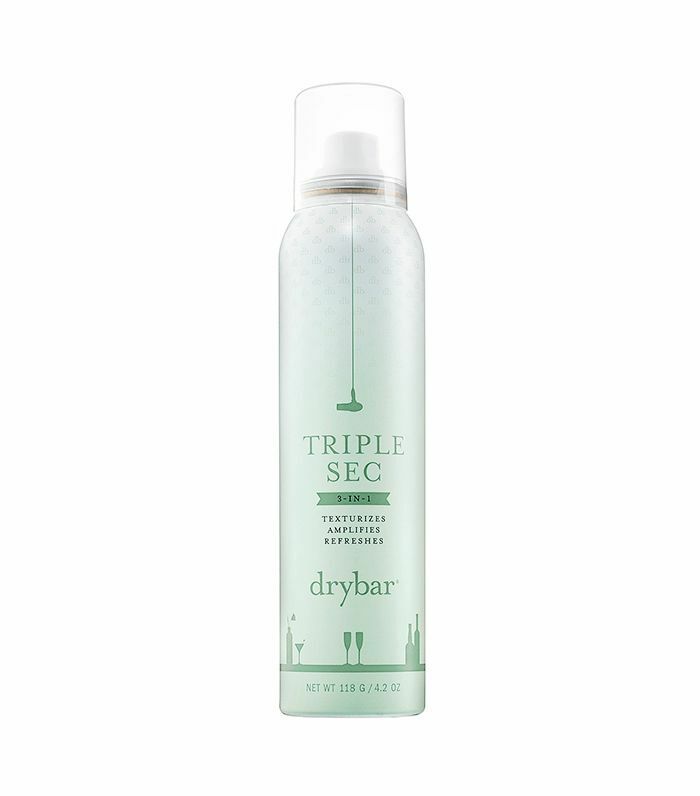 Whether you're new to Drybar or a seasoned vet, this product is definitely worth trying. With ingredients like phyto keratin and vitamin B5, this hydratant targets the hair cuticle directly to strengthen and protect your hair from within. 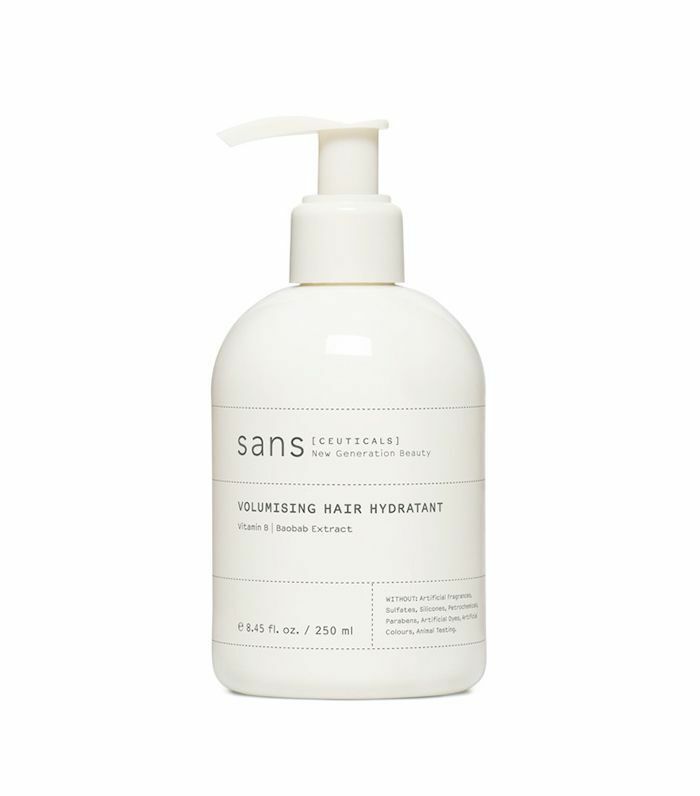 The nontoxic, light formula from Sans adds a true thickness to your hair and leaves your strands feeling as full as they look. The result? Natural, effortless texture to boot. 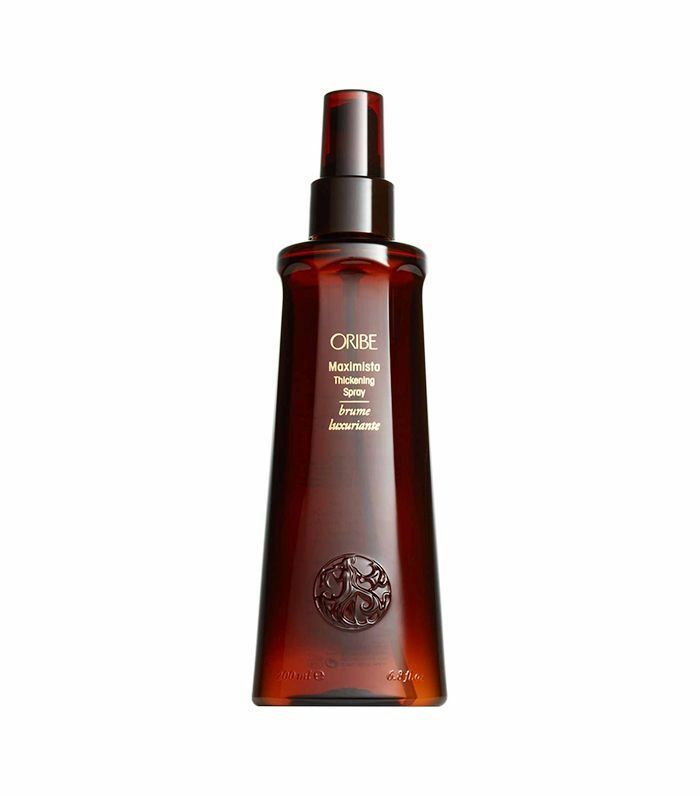 Oribe is constantly adding new formulas to its collection of buzzy products, but this thickening spray endures as a cult favorite. And it's not hard to see why: You can protect your ends and lift your roots with this amazing double-duty spray. A few quick spritzes before styling is just enough to create amazing volume that holds for the rest of the day. For anyone whose hair texture falls somewhere in the middle of thick and thin, have no fear. This tonic is for all hair types and works wonders across the board to help add volume. With the help of Aveda's 97% naturally derived formula (from plants, nonpetroleum minerals, or water), add instant thickness without leaving a sticky residue on your strands. 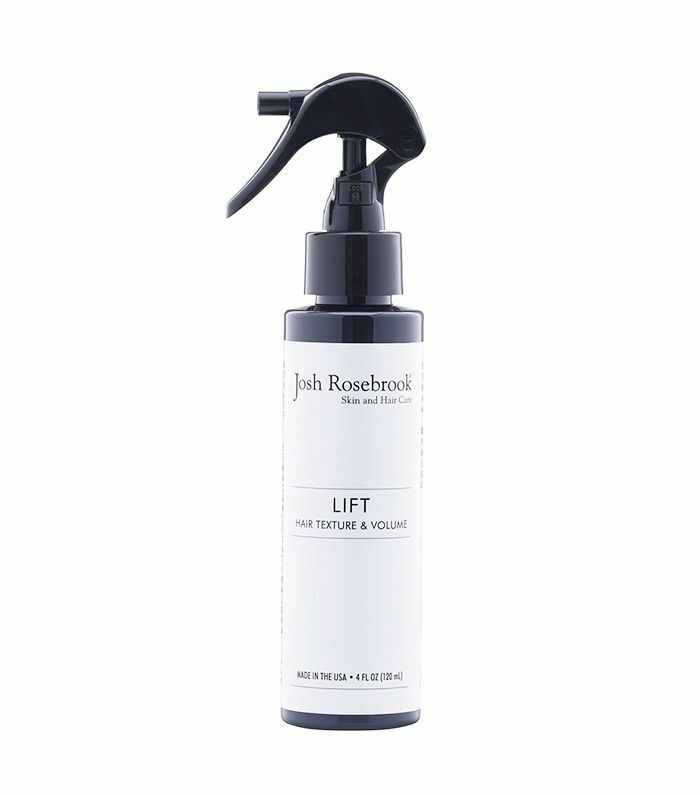 Plus, not only does this product add lift, but it also helps smooth and add shine. 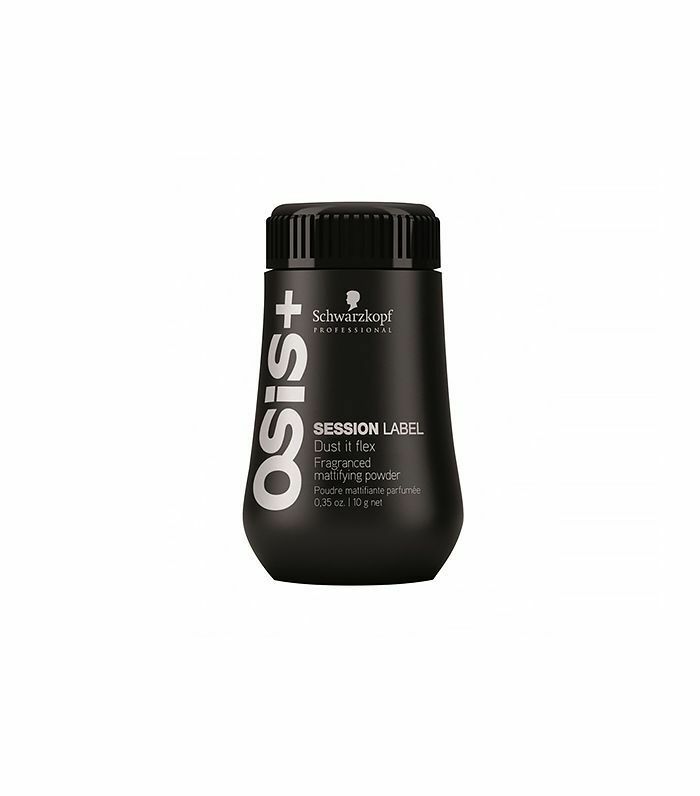 This product leaves hair with a matte, natural finish and weightless texture. And here's an added bonus for those of us who love a good natural product: Our latest obsession is toxin-free. Formulated with organic yucca plant and active herbal infusions, this thickening product creates natural protection and expansion to your hair that helps it grow. 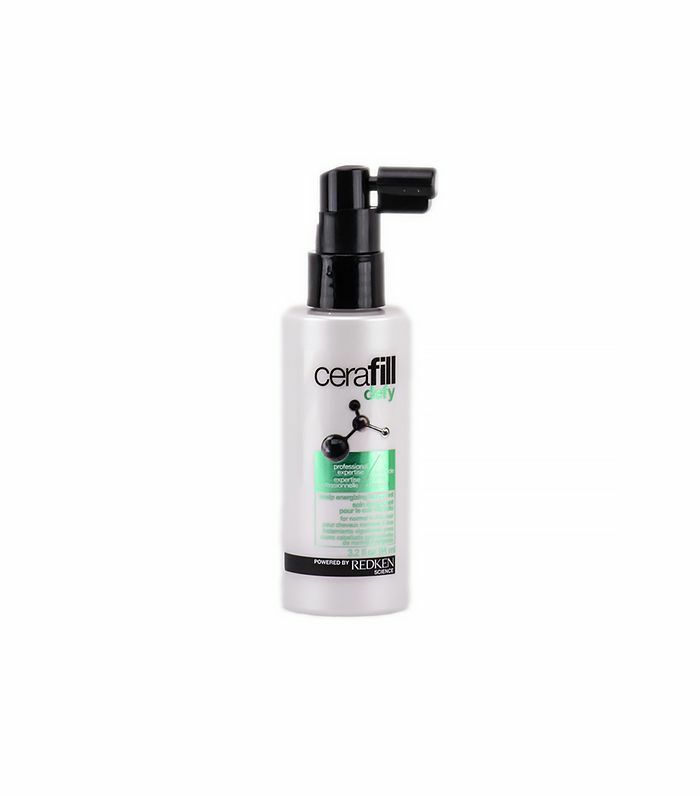 For the best results, spray at the roots and comb through to evenly distribute throughout the hair. From its antioxidants, thickening polymers, and natural proteins to omega-6 and vitamin E, this product is designed to target the causes of thinning hair and replenish it. We'd even dare to say that after one shower with the rosemary, peppermint, and cedarwood oils working their magic, you'll be hooked. Point being, this shampoo is formulated with the best of the best ingredients to fortify and texturize thinning hair. 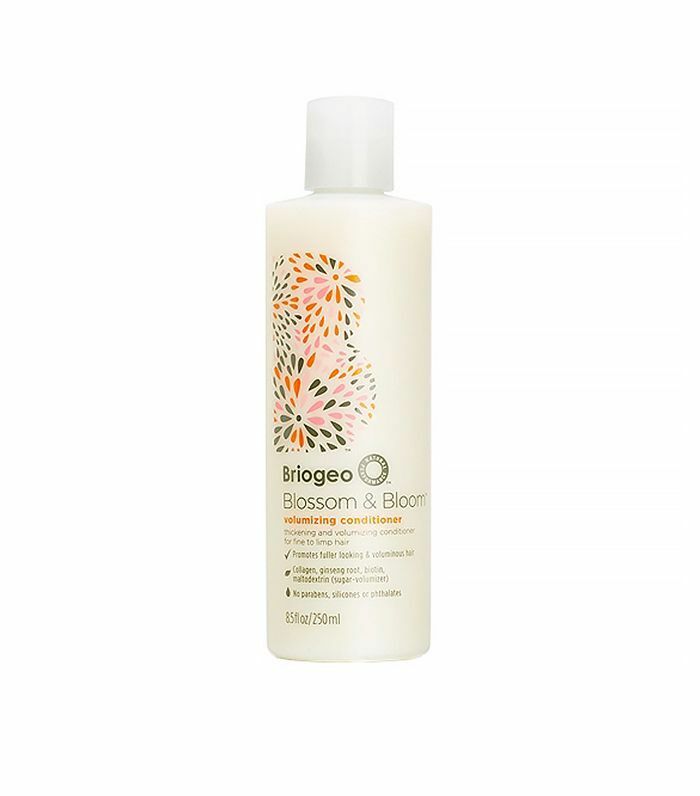 The best-value product on our list, this thickening lotion creates body that is soft to the touch and has natural movement with a few quick sprays. Generally ideal for thinner hair, this can also be for anyone who wants long-lasting shine and added bounce in their strands—so pretty much all of us. Limp hair, begone, thanks to this miracle worker. 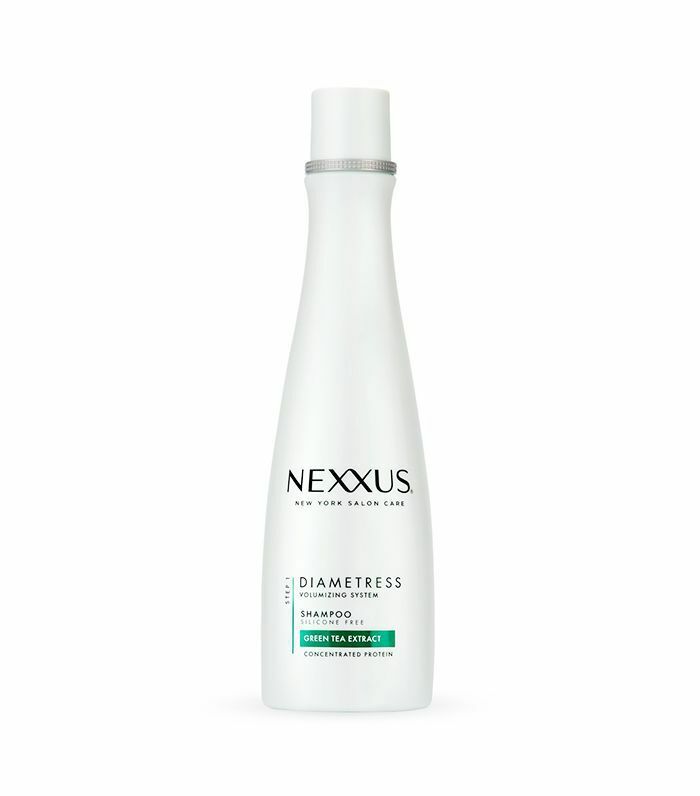 Nexxus's formula gradually releases strengthening ceramides, replenishing nutrients, antioxidants, and UV protectors to create hair with amazing body that looks as healthy as it feels (sans the feeling of product coating your strands). Part hair spray, part dry shampoo, this ultra-lightweight double-duty product is the key to indulging our beauty fantasies of cool-girl hair. 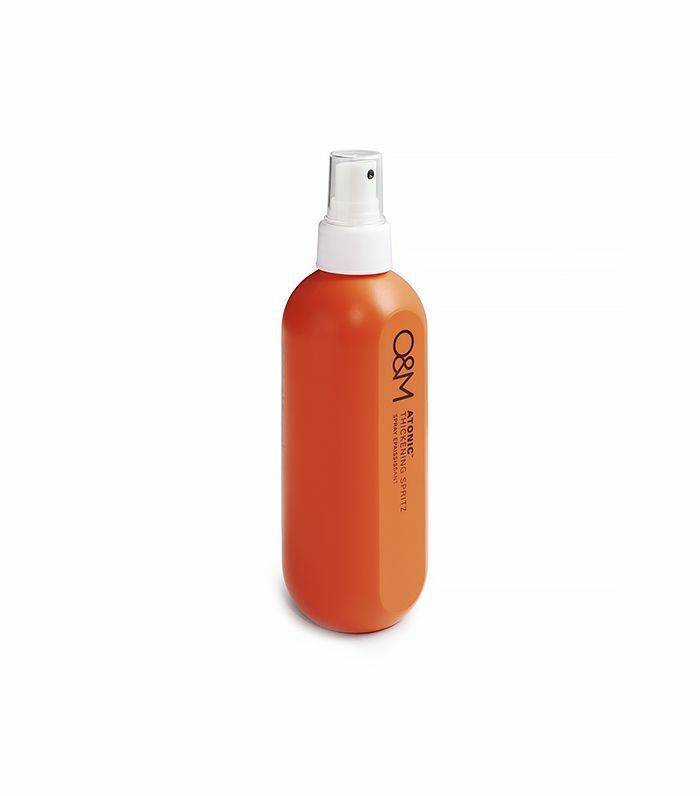 The oil-absorbing hair spray builds volume and leaves your tresses with perfect, model-off-duty texture longer than a regular dry shampoo would. Need we say more? If you run the risk of greasiness with a drop of too much product, skip the aftercare and start your routine in the shower. This gel quickly erupts into a sudsy foam as you massage your scalp, a plus for anyone who likes to see and feel their shampoo working. 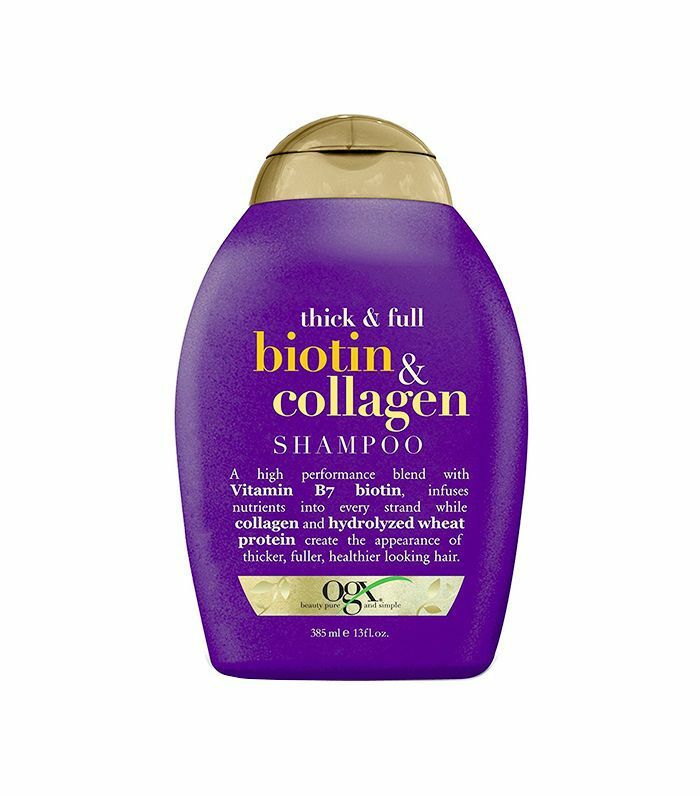 Not to mention the fusion of vitamin B7 and collagen in this velvety shampoo formula works wonders to add dimension and fullness to lifeless hair. Next, read the best way to sleep on wet hair.